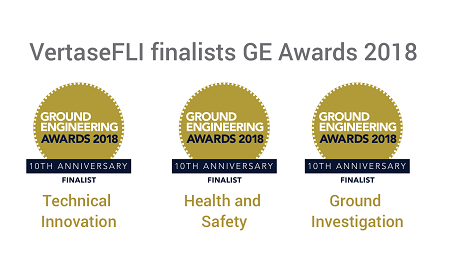 Attracting the biggest names in the industry, from the UK and around the world, the 2018 Ground Engineering Awards offers an ideal opportunity to celebrate and share your engineering achievements, demonstrate your competitive edge, and position your company alongside the finest firms in the country. Celebrating its 10th anniversary, there is no better place to meet over 750 industry leaders and innovators, including major clients, Tier 1 contractors, designers, consultants and geotechnical specialists. The 2018 awards promises to be a gala event with Ground Engineering magazine marking its 50th anniversary at the awards. The finalists this year includes 122 shortlisted entries from 76 companies across 17 categories. View the shortlist to find out more.